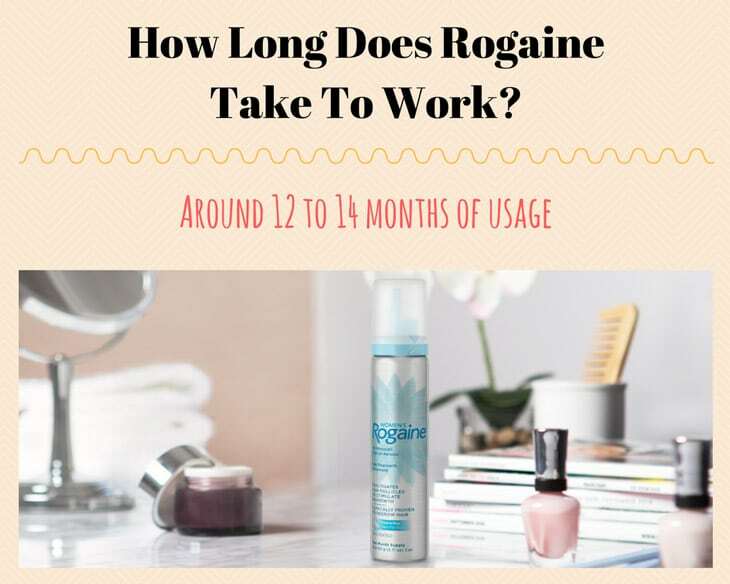 →What is Rogaine and How Long does Rogaine Take to Work? 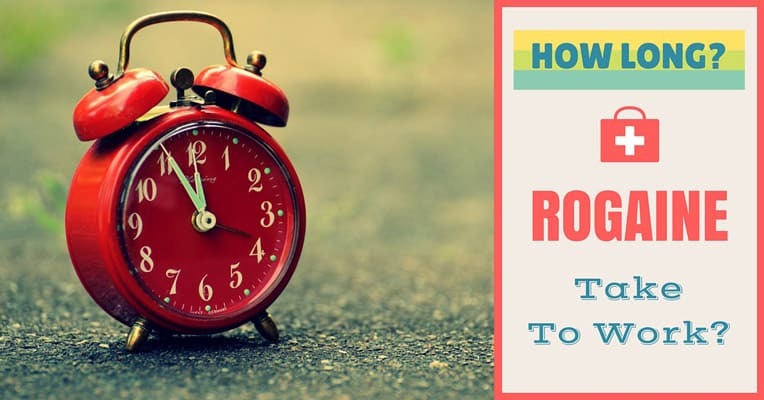 What is Rogaine and How Long does Rogaine Take to Work? 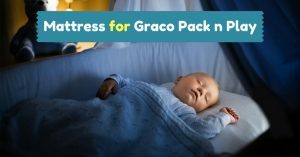 Watching helplessly as your hair thins away can be quite frustrating; and if you don’t find a remedy you may find yourself depressed or worse. Finding the right solution for your pattern baldness is essential if you are to eradicate it. One such solution is Rogaine. Rogaine is a hair loss medication formula; the sole topical medication for hair loss that is Food and Drug Administration-approved. It contains ingredients that have been scientifically proven to induce hair regrowth in both men and women. How long does Rogaine take to work you ask? Well, the hair thickening effect of Rogaine will vary in different people, with the quickest results seen within the first three months of usage. Is there a Difference between Rogaine for Men and for Women? Rogaine was officially born in 1988, although the active ingredient in it, minoxidil, had been in use for hair loss since a decade earlier. A female label of Rogaine was introduced into the market in 1991, and an extra strength version was also introduced later. Hence when you go searching for Rogaine, you will have to choose between the three. The main difference, aside from the obvious packaging, is the varying concentration of the main ingredient, Minoxidil. The men’s version has a 5% concentration as opposed to the 2% concentration found in the women’s corresponding medication. The men’s Rogaine is advertised to be applied solely to the crown of the head. This is based on the fact that men generally tend to bald on the crown and temples, and women experience hair thinning on the scalp front. The misleading advertisement that the men’s version only work on the crown is untrue, as tests have shown that it is effective all over the scalp. Most male products are made on the assumption that men have tougher skin than women. 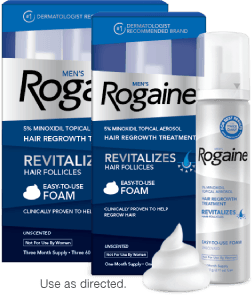 Rogaine men’s version has propylene glycol whereas the female brand of the same is has alcohol. This propylene glycol is used by the main ingredient to quickly penetrate into the skin and improve the effectiveness of the medication. As much as this is helpful, propylene glycol solutions can cause an allergic reaction in users with sensitive skin. The alcohol based brand will at most irritate the skin. Also, the Propylene glycol causes a bit of greasiness on the scalp compared to alcohol. In my years of using Rogaine, I used the 5% Minoxidil as I retired for the night and used the 2% Minoxidil Rogaine during the day. I advise you to do the same if you want to balance between ensuring a steady hair growth and avoiding a greasy scalp during working hours. The extra-strength version has increased active ingredient (Minoxidil) and is approved by the FDA for men use only. How effective is Rogaine and How Long does It Take to Work? In the late 1980s, clinical experiments conducted by Upjohn found Minoxidil, the active ingredient in Rogaine, to cause hair regrowth and reinvigoration in at least 39% of men at twelve months of usage. Rogaine has also been shown to be effective for women. In recent usage, Rogaine has been seen to cause thick regrow of hair by the third or fourth month of usage. However, for the lot of people, the full effects of using Rogaine will be apparent after around 12 to 14 months of usage. It is, therefore, vital that you be patient and not expect instant hair regrowth. It has been scientifically proven that Rogaine can help you maintain your hair even if it doesn’t induce the regrowth of new hair. It is also clear that Rogaine will not work for everyone. Unfortunately, it is impossible to determine beforehand who will get the required results or who will not. The only apparent drawback to the usage of Rogaine is that it requires continuous usage, forever. It is not per say cure, but a treatment and therefore you must continue usage for as long as you desire the results. Discontinuing usage would result in the loss of the hair already gained. Minoxidil More Effective for Women? The American hair loss Institute has suggested that minoxidil may be more suited to females than males. They recommend that men should first try Propecia, which is the brand name for finasteride. Propecia is also a hair growth medication, as scientists found out as they were using it to treat enlarged prostate glands. Its ability to induce hair growth is due to its ability to inhibit type II 5-alpha-reductace. Type II 5-alpha-reductace is the enzyme that does the undesirable task of converting testosterone into DHT so essentially propecia works by reducing the DHT levels in your system and hence encouraging hair growth. This medication is yet to be approved for women. Cases have been seen where there is an ironic increase in the hair shed at the commencement of using Minoxidil. This is normal and can be explained in simple scientific terms. Hair undergoes a cyclical nature of growth, more like death and rebirth. The growth phase of the scalp is called the anagen and takes up to seven years. 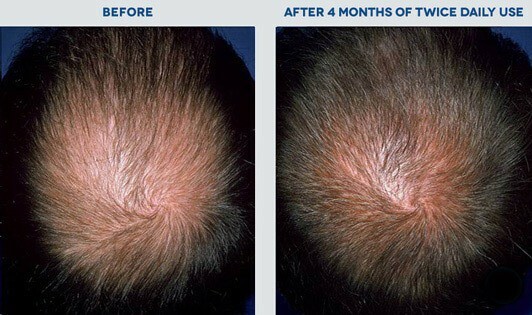 After this growth session, the scalp enters a resting phase, the telogen, which has a 3-month time span. The growth phase restarts with the growth new hair, and the subsequent release of the old hair. Now when you start using Rogaine, the growth phase is activated immediately, and this is the cause of the temporary increase in the shedding of hair. Don’t discontinue usage when this happens. It will subside within one or two weeks of usage. Who Should not Trouble Themselves with Rogaine? Minoxidil has been found to work more efficiently for people under the age of 40 whose pattern baldness has just started or is recent. It is however quite useless if you have gone completely bald and it will also not suit you if you suffer from a receding hairline. Getting the quantity and timing of Rogaine application may be the difference between success and failure. The recommended quantity per day is about 1 milliliter. I am going to elaborate two different methods you can adopt in applying Rogaine. The first method involves applying Rogaine twice a day, morning and evening, 0.5 milliliters per application. This is my routine of choice, and I have been following it since I started using Rogaine. I settled on this method on the reasoning than spaced application would work best and avoid wastage. This is because my area of application may not be able to absorb the entire 1 milliliter of Rogaine. 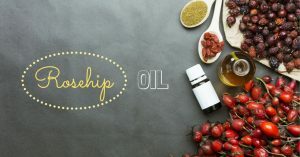 The alternate method to the above is to apply the entire 1 milliliter on a single application; morning or evening, whichever works best for you. 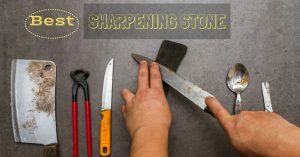 This may not be as efficient as the above method but may work out for you if you have a crammed routine. Choose the time that will allow the medication to rest and absorb on your scalp without much external interference. The general idea is to let the medication sit on the scalp for as long as possible and without interference or contact. Whichever of the two methods you choose, it advisable to thoroughly wash your scalp then towel dry. 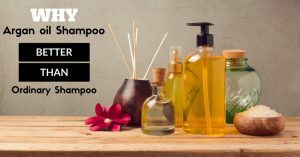 A scalp that has been washed then dried is soft and absorbs the medication efficiently. Rogaine comes with a dropper that comes in handy in when applying. The goal is to apply Rogaine directly to the scalp, and this dropper will enable you to do just that and avoid the hair. If you have minimal hair remaining on the affected part, or you have recently shaved, then the application is easier. Lightly squeeze the dropper bulb, lightly. Your aim should be to get drops and not a stream of the solution from the dropper bulb. The video below shows how to apply Rogaine for those with long hair. You should tap the dropper bulb against your scalp. If you have long hair, then using your fingers to spread the solution over the scalp can be challenging. Tapping the bulb against the scalp simultaneously applies Rogaine and spreads it at the same time. Applying Rogaine foam is easy, you just use 1/2 capful of foam applying directly to your scalp, then massage it into your scalp especially hair loss area. Remember, you don't have to wash your hair, just let rogaine foam dry. Minoxidil has some unwanted side effects to some people. The most common one is itching or a skin rash. It is more prominent in the 5% Roxane than the 2% one. 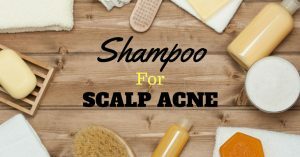 Other, rare side effects include the development of acne at the application site, swelling of the face, growth of facial hair, inflamed root hair, burning of the scalp and reddened skin. At other times, one may encounter the very rare but still possible scenario of too much of the medicine being absorbed into the body. That will be accompanied by blurred vision, irregular heartbeat, development of numbness, rapid weight gain, flushing and the swelling of face and limbs. Rogaine has worked for me, and I hope it also works for you. It is vital that you be patient and don't expect results overnight. If you experience any side effects, discontinue usage and make a point to see a doctor. I felt obligated to write this for you as it can be the difference in your fight to keep your hair. Comment below if you have any questions or any thoughts. Don't forget to share with others.